It’s September and you know what that means! Gasol Foundation’s VIDA! Health and Wellness program is back once again and better than ever! Our first VIDA! session will be at Jordan High School in Watts on Saturday, September 8th and we could not be more excited to see our VIDA! participants, as well as some new faces! VIDA! 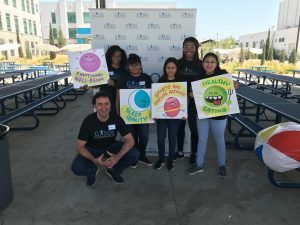 Health and Wellness is an interdisciplinary empowerment program, in collaboration with the Partnership for Los Angeles Schools (PFLAS), for parents, young children, and high school students. It serves as a critical community tool for reducing childhood obesity rates and making a sustainable and healthy change. 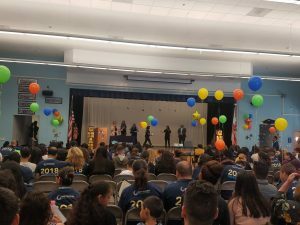 The Partnership for Los Angeles Schools mission is to transform schools and revolutionize school systems to empower all students with a high-quality education. 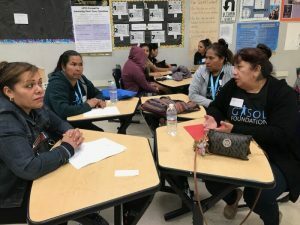 We specifically partner with their parent empowerment program, Parent College, which provides workshops and support to parents in the Partnership network. The VIDA! Health and Wellness program main objective is to reduce the risk of childhood obesity within the VIDA! program participants by promoting the importance of acquiring a healthy lifestyle. The VIDA! Program is for children ages 6-12. In order to connect with our VIDA! children while teaching them about healthy habits, we utilize the metaphor of the Healthy Galaxy. Children will explore the healthy galaxy and learn about the 4 planets of healthy eating, physical activity, sleep quality and duration, and emotional wellbeing. The ultimate goal is for children to learn about health and wellness while having fun! •Take-Off: The first Vida! session will include participant introductions, a program overview, and pre-assessments, including height, weight, and measurements. •The planet of Healthy Eating: Our goal is to provide participants with the tools necessary to make healthier food choices for life. Together, we will explore My Healthy Plate, portion sizes and food label reading. •The planet of Physical Activity: Exercise is a key component in keeping a healthy weight. A person who is fit is capable of living life to the fullest. Through interactive games and activities, we demonstrate to our Vida! participants the importance of fun family activities and the impact it has on one’s overall health! •The planet of Sleep Quality & Duration: Irregular bedtimes and insufficient sleep patterns at a young age may result in weight gain. 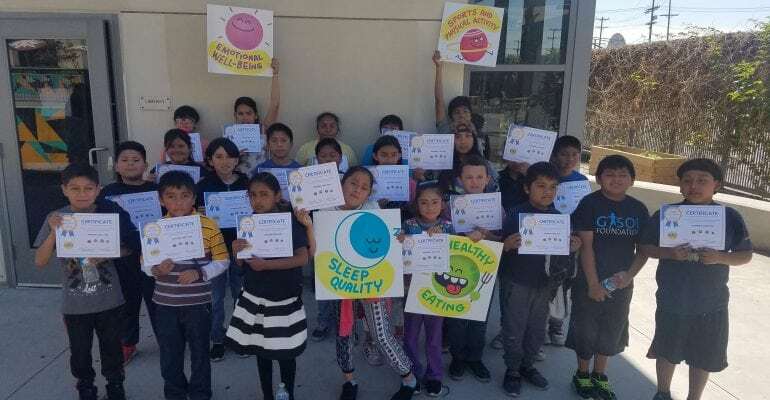 We help families prioritize beneficial sleeping routines by helping them recognize the relationship between sleep, emotional well-being, healthy eating and physical activity. •The planet of Emotional Wellbeing: Maintaining good emotional health influences how people think, feel, behave, and contributes to the overall mental growth of children. We help our Vida! children and adults develop self-confidence, high self-esteem, and a healthier outlook on life! •Landing: Conduct post assessments and celebrate with the end-of- program graduations. 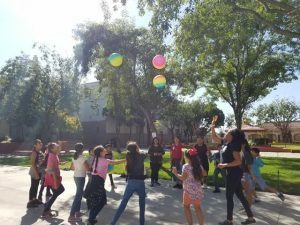 Let’s learn about the importance of healthy habits and have fun while doing so! And don’t forget to follow us on our social networks and stay updated on all things Gasol Foundation!